(6-21-16) After the ceremonies of the 100th Anniversary of the Naval Submarine Base Groton I took a quick trip through New London. 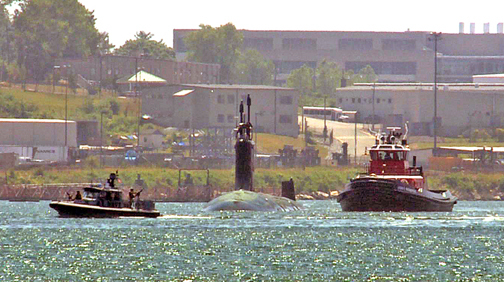 I was rewarded with a second sighting of a submarine in the Thames River being led into Electric Boat Shipworks. Quite a sight, including the very heavy military presence as it was backed into its dock.